Gov. Mike DeWine wants an 18-cent increase on a gallon of gas. The Ohio House has approved an increase just under 11 cents. The Ohio Senate has proposed a six-cent increase. And Senate spokesman John Fortney says taxpayers have their own ideas. “Certainly, a lot of calls, the majority of calls that have come into the Senate offices, have been overwhelmingly against a major increase in the gas tax," Fortney says. DeWine, in a written statement, says he's come to an agreement with the House on a plan and he hopes the Senate will go along with it. And somehow, he and both the House AND Senate will need to agree on something in the coming hours because the transportation budget has to be approved and signed by Sunday. 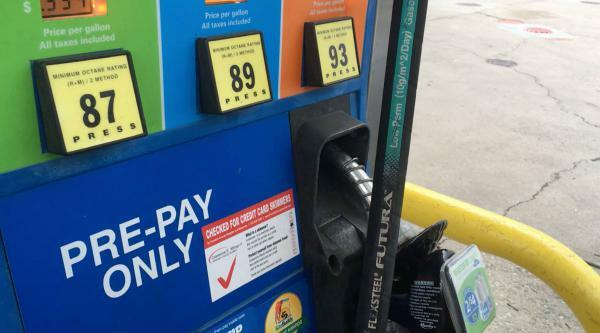 House lawmakers Thursday overwhelmingly voted to approve a transportation bill that would increase the state gas tax by just under 11 cents, and raise the tax on diesel fuel by 20 cents over the next couple years. In his State of the State speech Tuesday, Governor Mike DeWine called Ohio’s aging transportation network “a crisis.” The governor wants an 18-cents-per-gallon increase in the state gas tax, pegged to inflation, to boost funding for road and bridge repair and maintenance.